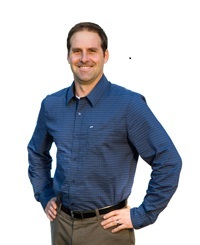 Kris Swierz is an experienced Seattle realestate agent with one focus – to bring you results. Whether you are selling a small property or buying a luxury condo in downtown Seattle, Kris will bring the same determination and attention to detail. Kris has also completed hundreds of deals throughout the greater Seattle area and the Eastside. While Kris has spent the last 15 years carving out a successful real estate career, his previous line of work was notable as well. Kris traveled the world while competing on the World Cup Snowboard Tour, and was recently inducted to the Ski and Snowboard Hall of Fame as a member of the 2014 class. In fact, Liquid Snowboards even created a signature line of boards which bore Kris’s name. It might not seem like snowboarding and real estate have much in common, but the transition was actually a natural one. The same competitive drive and singular focus that led Kris down the mountain is the same drive that he brings to each one of his clients. Real estate is a competitive field, and no one knows competition better than a former professional athlete. • Five star reviews from over 100 past clients ( Google " Kris Swierz Real Estate "
When Kris isn’t working hard for his clients, he enjoys snowboarding (of course), surfing, mountain biking, cooking, and spending time with his family. Kris was the best realtor we could have asked for. He is quick to respond, and he is very tuned in to how to land a house in Seattle's super competitive market, which we did with our first offer. He also was extremely helpful once we were under contract, which is equally important! Kris's style is low-pressure while staying on top of all the details and timing. He is direct and straightforward about whether a house is worth the price, and we found he always gave his honest recommendation. He does his research and is an awesome advocate. We couldn't have asked for a better realtor, and are so excited about our new home.